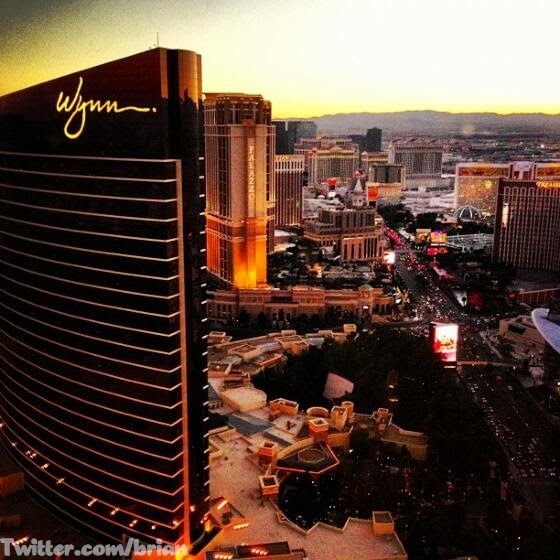 This week’s winner comes to us from @brian for a picture of strip taken from his room at Encore. This reminds me of the view Keren and I had when we stayed at TI back in 2006. I’m sure to some extent that view helped solidify my love for Vegas. I’m not sure this view is better but it is definitely as good. You can see the south strip starting with Wynn as far down as Cosmopolitan. It looks like the picture was taken at sunrise based on the lighting. I love this time of the day in Vegas when the lights of the properties are still but won’t be for much longer. You get the feeling like the party is almost over and it’s time to clean up. It’s a peaceful and beautiful time in Vegas. I’m glad we have an example of it to add to our collection.